Bob Arum clarifies the Pacquiao vs Horn reported deadline. Pacquiao vs Horn for the WBO welterweight title is expected to be locked in for July 2 in Brisbane. The boxing encounter is not yet formally announced. The reports from Philippines media last week indicated that the Top Rank promoter Bob Arum has given the deadline to the camp of “Pacman” to decide on the bout. The adviser of boxing great, Michael Koncz has then advised that there is no worry about “any deadline” as well as added that the terms and conditions for the bout are being finalized. On Monday the Hall of Fame promoter Arum told Boxingscene.com that the details for the match are indeed being in works. He has also clarified the “deadline” subject. In addition, Arum revealed that as understood the Pacquiao vs Horn deal is done although several aspects are still being worked out. He has also advised that once finalized, the press conference will take place in Australia that would lead to the announcement of the platforms expected to televise the event. 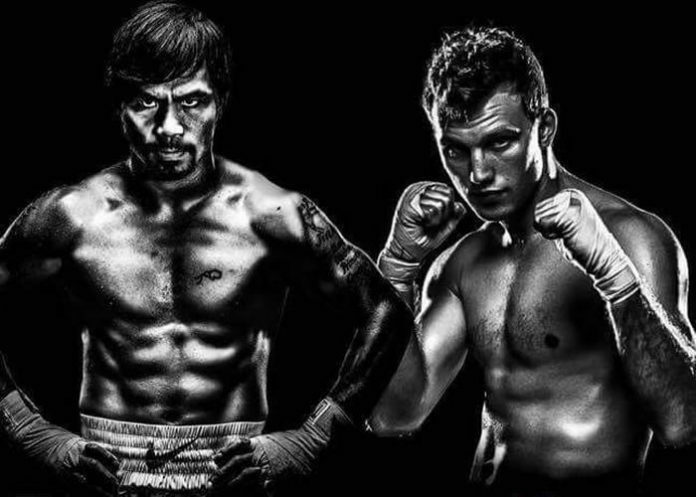 Manny Pacquiao (59-6-2, 38 KOs) vs Jeff Horn (16-0-1, 11 KOs) was originally announced but didn’t go ahead at Suncorp Stadium on April 23. Then, it was anticipated that Pacquiao would square off with British Amir Khan on May 20 in UAE which has also fell off. Manny Pacquiao, 38, last fougnt in November 2016 when he defeated Jessie Vargas. The most recent bout of Jeff Horn, 29, was last December, when he eliminated Ali Funeka in Round 6. In addition, Pacquiao is reportedly being targeted to fight in November. The list of potential opponents includes Amir Khan, Adrien Broner and Terence Crawford.